Tired of thinking on how to keep the freshness of your marijuana (cannabis)? It is a natural plant which is harvested and dried, it is important to store it out of elements that may cause it to break down over time. Below are a number of different ways, you can how to store marijuana, and ensure lasts for a long time, while retaining its quality. Like most dried plants, it is important to ensure wherever you store your marijuana, it is dark, dry, and cool. If it is not dry, moisture can help to create an environment that promotes the growth of mold. This is why it is so important to make sure marijuana is dried thoroughly before being stored. It is also equally important that it is stored in a dark location. This is to ensure light is not able to get to it and break down your marijuana. Cool temperatures also help to reduce the likelihood of mold growth and breaking down of the bud. But, it is important not to freeze it, as defrosting it can break down the cannabinoids. To help ensure it is able to stay dry and not get light to it, an airtight container that is opaque or dark colored is an ideal container. Glass containers stored in a cabinet are a great option to protect your stash. 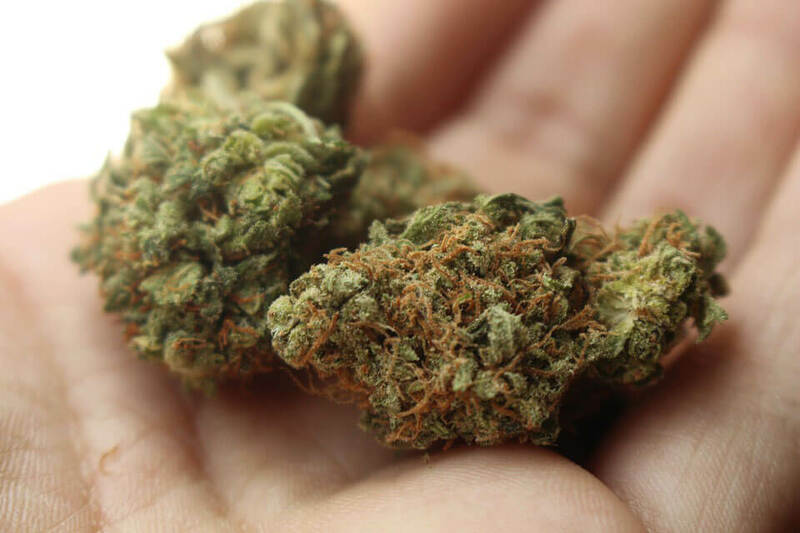 When storing marijuana, it is important to not touch the individual buds as much as possible. This helps to ensure the trichomes stay intact, and you do not lose valuable cannabinoids. This is also why it is important to not break down the buds into smaller pieces. When you break them up, it can speed up the decomposition process. So until you are ready to use the marijuana, it is important to not touch it. This also includes not moving the container as much as possible to help keep the trichomes intact. 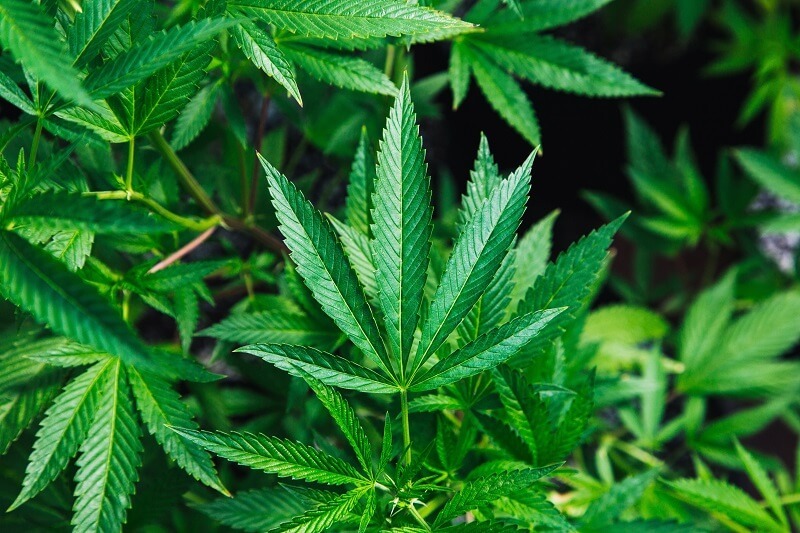 Shaking acts the same as touching the buds yourself, and helps to speed up the decomposition process, which is not wanted when storing marijuana. When stored properly, it is possible for marijuana to store up to 24 months and still be potent enough for use. Even though it is important not to touch, beak down, or shake your stored marijuana, it is important to open the container periodically. Opening the container allows any potential gases that built up in the container to be released so they do not degrade the buds. If using the marijuana regularly, this is done when accessing it. But if being stored for longer periods of time, it is important to do this for at least ten minutes every thirty days. It is also important to make sure when storing cannabis, it is done as safely as possible. Keep it out of reach and view of others. If possible then store in a drawer or cabinet where it will not accidentally spill or fall, ruining your stash. Part of keeping safe is also ensuring it is not within reach of children. Lastly, even if you reside in an area where cannabis is legal, it should be stored discreetly. By being discreet it helps to ensure others are not aware of your marijuana. This will help to decrease unwanted attention regarding marijuana in your possession. This includes just the noisy neighbor, as well as the potential suspicious person casing your home.